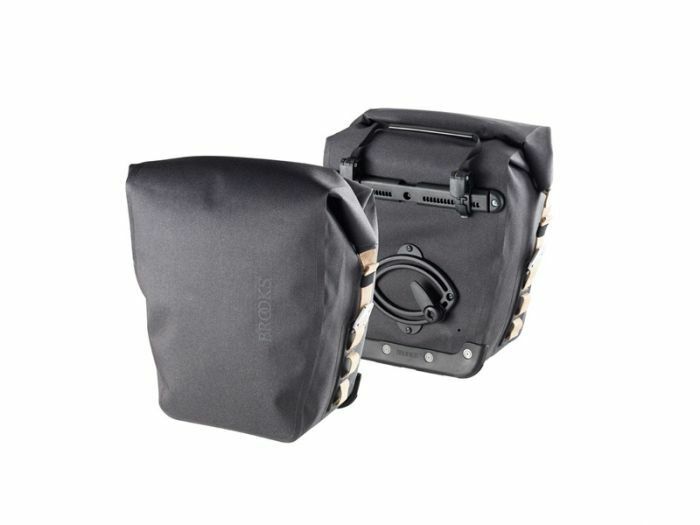 These new travel panniers are named after the famous “Land’s End to John O’ Groats” cycle route which traverses the length of the island of Great Britain between its two furthermost extremities. Hundreds of cyclists attempt this 874-mile route yearly, facing the challenges of Britain’s inclement weather. (Our Land's End pannier no longer features the outside pocket, there is however a small zip pocket and a larger map style pocket on the inside). Panniers can be mounted on the left or right side. Für den Preis von 130,00 € erhalten Sie (im Gegensatz zur Abbildung) nur eine Tasche!